I'm studying for the GMAT and my target score is 650. Whilst studying the quant section I noticed huge differences in difficulty between different sources. For example the questions from the official gmat guide (OG)(2016,17,18,19) are easier than for example the Manhattenprep. My question is how good do I need to score on, for example the manhatten prep quant section, in order to reach around 650? I know it's hard to say because the real GMAT is adaptive and so on. But even if you could give me the slightest idea on how good I need to master the 'harder' prep tests that would be great. Side note: I read some where for around 650 the OG can suffice if you master it for like 95%. Do the OG for Basics and concepts. Then do the practice question in GMATClub. In Gmatclub check your error log. Then your quant score would be in between 47-50. If you get 28-32 in verbal in a combination of mentioned Quant score, you will be @ 650+. This is a very difficult question to answer. 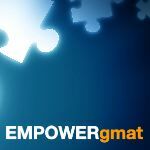 While you are right that the MGMAT Quant mocks are difficult when compared to OG questions, some of the questions I have come across from many test prep companies do not match the official questions in terms of quality. I would advise not to infer anything from your performance on unofficial questions. Just practice them if you have run out of official questions and/or you just need to solve difficult questions. Just don't get bogged down by your performance on these difficult mocks. Use them to remove your mental block about difficult questions. Since the GMAT is a Computer-Adaptive Test (CAT), there's no practical way to assess how you might score on that Exam by working through a series of questions in a BOOK. Doing some book-based practice is fine, but to properly prepare for the GMAT, most of your study should be done on a computer - and you should take practice CATs at regular intervals (and in a realistic fashion that matches what you will face on Test Day). 4) When are you planning to take the GMAT? So, you ask a great question; however, it’s difficult to provide an exact answer. Certainly, the more questions you correctly answer in the OG, the better, but if you are trying to determine your current GMAT score (and how far you are from your 650 score goal), you should take a full-length MBA.com practice exam. Once you take that exam, feel free to report back here with your score breakdown, and I’d be happy to provide some further advice. 1) Almost a month now. 2) Mainly the Official Guide and mock tests for practice. For the theory mainly online material such as video's, question breakdowns etc and also some Manhatten Prep books. 3) I have done one CAT at the moment that was two weeks ago. I'm aware this is far from my target score. Edit: I have done the Veritas prep test and scored 620 on that one. Quant 42 (out of 60) and Verbal (34 out of 60). 4) im planning to take the GMAT mid May. 5) I'm already in business school but it's for an extra curricular program. If you need any more information please tell! If you took your most recent CAT (the 620) under realistic conditions (re: you took the FULL CAT - with the Essay and IR sections, you took it away from your home, at the same time that you'll take the Official GMAT, etc. ), then you're remarkably close to a 650+ right now. From my experience, MGMAT CATs are about 30-40 points lower than OG CATs, so if you're consistently getting 600-650 on MGMAT exams, I think you'd be in a good spot. 2) Some Quant questions I got wrong were indeed accountable to math principles I did not memorize. My main issues seem to be reducing very large root questions and questions regarding primes. Especially the parts with prime numbers and divisibility, everything in that corner is hard for me. Regarding verbal out of my 11 mistakes, 7 are from Sentence correction so that's an obvious issue I suppose. Never been too keen on grammatics. My english is at a moderate level I'd say but I never really studied the grammatical part. I always 'follow my gut feeling'. 3) In the quant section only really 2 or 3 questions were just straight up too hard. While reviewing my other mistakes I almost immediately caught my mistake and understood why. Verbal, again sentence correction. Those very long sentences really get me. Also the 650-700 Reading comprehension questions seem quite hard. 4) I finished quant section with 5 minutes left. Verbal was just enough time but had to speed up while I got near the end. 5) Not many honestly, maybe 2/11 or 3/11. Many Test Takers spend 3 months (or more) of consistent study time before they hit their 'peak' scores, so if you've really studied for just 1 month so far, then you might naturally improve over time as you continue to study. Your self-analysis shows that there are two major areas for you to work on: your "mechanics" (your Tactics, note-taking and organization) when you work on Quant questions and grammar/idiom rules for SCs. At this point, the question is whether you can make those improvements on your own (by studying in the same general ways that you were studying before) or if you would need a GMAT Course of some type to help you (by providing the structure, Lessons, specific practice, etc. ).